Forget everything you knew about it-bags! For here it is: AIGNER’s Ruby Bag. Are you always looking for that certain something? Do you like making a big entrance and setting new standards for trends? 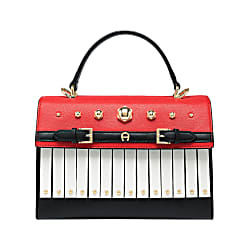 Then I am telling you, you will love this bag. It is everything and so much more. When I proudly wore it with jeans and a blazer for the Milan Fashion Week, a young woman even followed me for several blocks, only to ask me where I got my Ruby Bag. 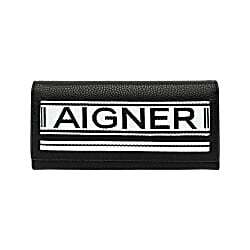 Funnily enough, we were standing right in front of the AIGNER store we were planning on visiting. She came along immediately. 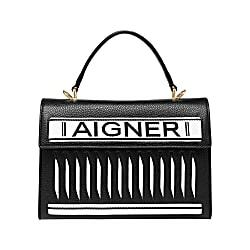 The Ruby Bag Frangia from the current #DADASS19 Collection, which always brings a smile to my face and has long since received the nickname “Piano Bag”, combines a striking shade of “signal red” with white fringes and the AIGNER screws. The rectangular format in black top grain leather with two large inner compartments offers a lot of space for all sorts of valuables and everyday essentials. If you want to adopt the style completely, you can even buy the matching purse and a pair of the lady’s shoes for a complete and trendy look. Different and customized – that is what #DADASS19 is all about!